With micro charging plug, you can charge it by computer connected through USB cable. At the same time you can use charger. And the suitable charging voltage is 5V. 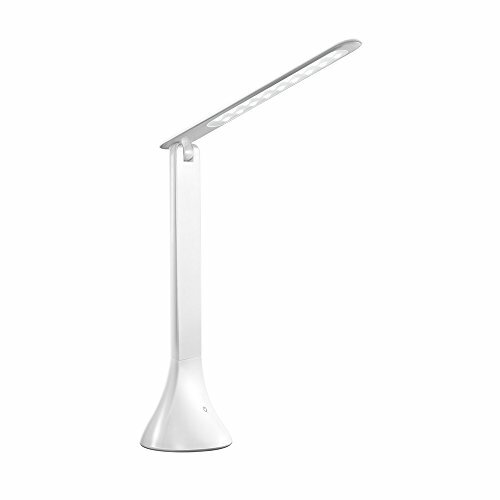 After charging it full, the lamp can work for a long time with built-in Battery. And you can charge it recycle. Just touching the button on the lamp base, you can turn it on, off or adjust the brightness. Three brightness level: the light is gradually brighter over touching it three times. Automatic memory- Light intensity setting retention, the last setting is retained. The micro charging plug is on the backside of the lamp. when you charge it, the light above the plug is red. And after charging it full, the red light will disappear. When you adjust the angel of the lamp, please keep its base stable. You can rotate the lamp in 180 degrees. If you have any questions about this product by FineWish, contact us by completing and submitting the form below. If you are looking for a specif part number, please include it with your message.